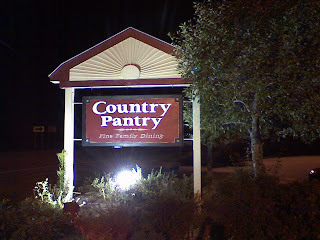 My family and I had dinner at the Country Pantry, located in Fairfax VT on Saturday. This is a popular local restaurant that serves homestyle meals. I had the Fried Chicken Dinner but I didn't enjoy it very much like I used to. I found that the quality of the food has taken a dive just like the recent financial market!